This year’s Pink Party, in support of the Canadian Breast Cancer Foundation, was held on Friday, April 11, 2014 at the Castlefield Event Theatre. Now in it’s fifth year, the event continues to get bigger and better. Event director Paul Etherington, who also organizes the highly successful Motionball gala ), promised a fun time to be had by all, with the talent and performances lined up for the night. Toronto’s own Dr. Draw, electric violinist, began the musical performances with a bang. Watching him play you can’t help but feel the passion he has for his music. He surely brought energy to the crowd, getting them pumped for the musical acts to come. 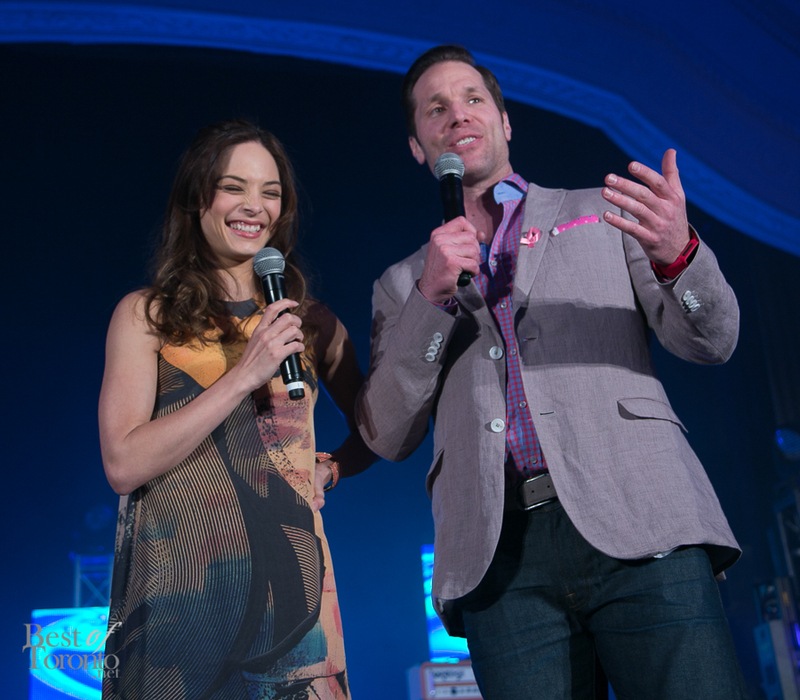 Etherington then came on stage with this year’s celebrity co-host – Vancouver’s Kristin Kreuk. Having watched her as Lana Lang in her Smallville days, I can say that she looks as stunning and gorgeous as ever. She now stars as Catherine Chandler on the CW’s Beauty and the Beast. 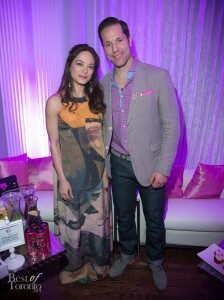 Kristin charmed the crowd with her energy and her infectious smile and thanked them in support of this great cause. The Calvin Klein underwear fashion show came next. One after another, the models strutted their stuff fiercely in the latest Calvin Klein intimates. 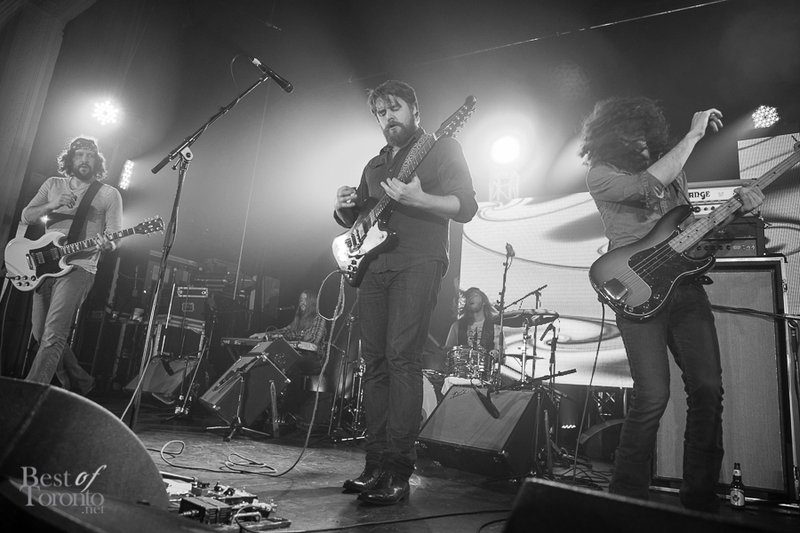 Three-time Juno award-winning Saskatoon-based rock band, the Sheepdogs, then came on stage and brought the house down. Watching Shamus Carrie, who joined the band less than a year ago, transition from keyboard to tambourine and trombone was a treat to watch. Frontman, Ewan Currie, was no slouch either – leading the vocals, as well as playing the guitar and keyboard. 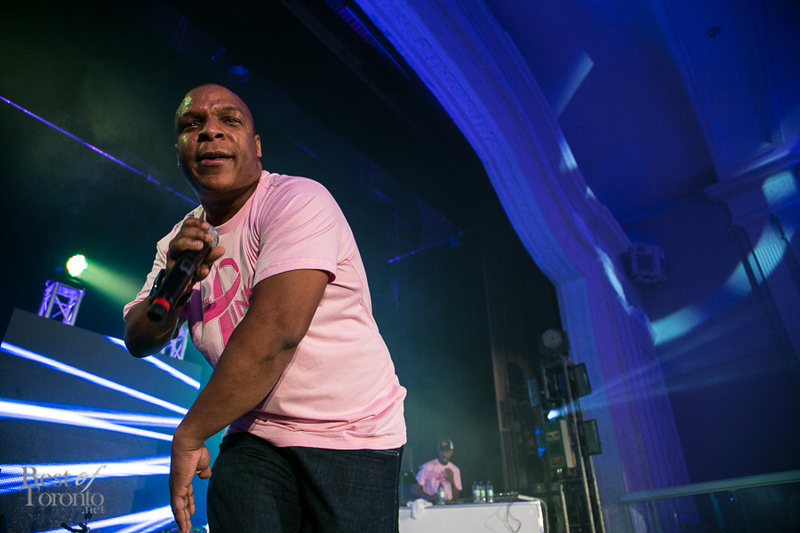 American hip hop group, Naughty By Nature, was the final act of the night. By this time, the crowd was already in full party mode, and Naughty By Nature managed to take the energy level up one more notch. I personally enjoyed hearing some of the music that I grew up in the 1990’s, as did many of the young professionals in the audience. DJ Tom Wrecks and DJ Megan Daniels kept the crowd dancing the rest of the night. In between all the performances event goers also had the chance to participate in a silent auction. Over forty items were up for bidding, ranging from gift cards, to fashion accessories, to sports memorabilia, to gadgets, to framed art, to ballet tickets. There was something for everyone, whatever their interests may be. The popular Bra Bandit game also made its return from last year . 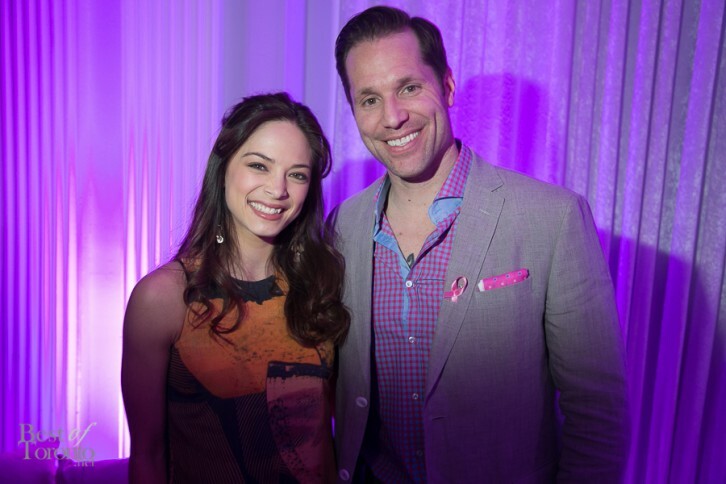 With all of the eye candy – Kristin Kreuk, the Calvin Klein models, and of course the attendees dressed pretty in pink, and all of the ear candy provided by the night’s musical talent, everyone had an awesome time at the Pink Party. We look forward to attending next year! Be sure to check out our coverage in photos below. 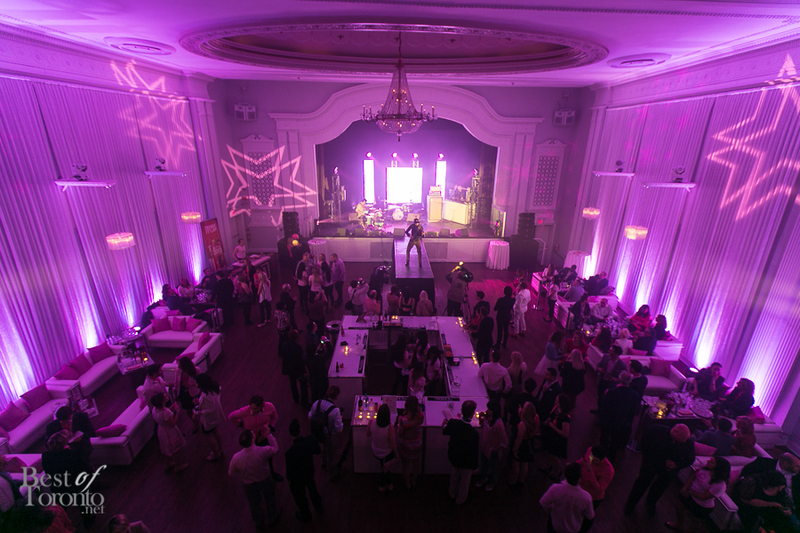 The Pink Party is a not-for-profit event. 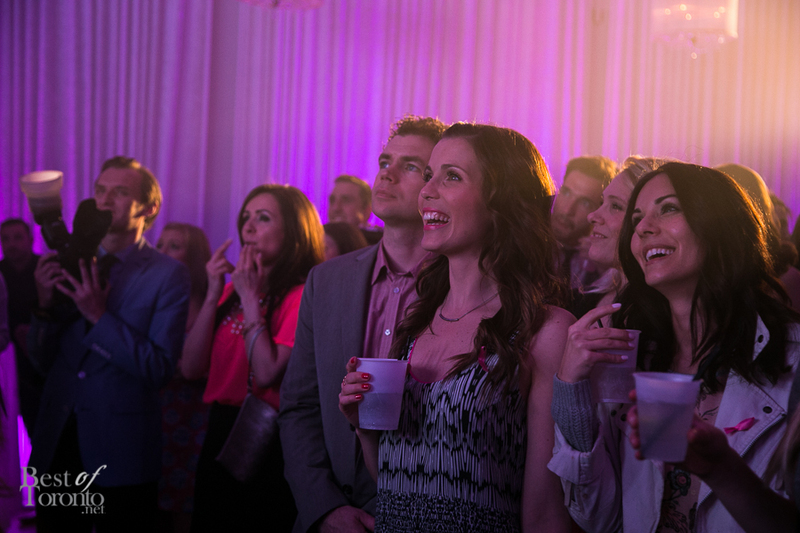 All proceeds are directed to the Canadian Breast Cancer Foundation. Glad to help connect my friend, Diane Pedreira, with Paul Etherington in real life.